CHIBA (TR) – It all starts in the back, behind the brewery’s main structure, up a short grassy slope, and underneath the dangling branches of the nearby trees. Swift, salty breezes off Katsuura’s coast are never in short supply at this time of year. It is November, and the toji (sake brewmaster) and six kurabito (brewery workers) will have already arrived. It is at the shrine that rests here that the six-month brewing period begins. First, the random spider webs are parted from between the branches and an offering of rice is carefully placed inside the shrine’s wood gate. “Then we gather with the workers to pray for good sake for the year,” says Shinichi Yoshino, the soon-to-be heir to the family-run brewery Koshigoi Yoshino Shuzo, located an hour and a half by train from Tokyo in Chiba Prefecture. The estate and kura, or brewery, evoke history. The kura’s wood structure is in the traditional rural Japanese style; a thatch roof rests under a timber frame of posts and beams without a single nail being used to join the members. Water for the brewing process — and domestic drinking — is supplied from a local rainwater catchment within the property’s two and a half acres and delivered by a gravity-fed spigot. Even the labeling “machine” for the largest and smallest bottles amounts to merely an inclined wood frame on which the bottle rests before the sticky-backed label is applied by hand. Outside of a computer in the office and a modern rice-milling machine, few other signs of the 21st century — or even the 20th — are apparent. Koshigoi’s reputation is for fine handmade sake. The great care and handling taken during the brewing process is a major part of the company’s success. But so is the water, which possesses ideal amounts of minerals to ensure a proper fermentation cycle. This combination has made their brands winners at a number of national competitions. 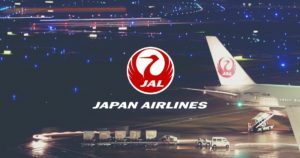 Last year, their flagship daiginjo brand was featured on All Nippon Airways’ first-class menu for six months — the “greatest moment” in the company’s history, according to president Mieko Yoshino. Mieko, 69, has recently taken over the company’s controls since the passing of her husband, Susumu, last year. A cheerful and confident woman, she plans on continuing with the company’s legacy, which began in the middle of the nineteenth century, until her son, 40-year-old Shinichi, is ready to be passed the reins. But preserving this brewing tradition is getting more troublesome as the years pass. Automation of the brewing process is becoming an increasingly viable option in light of the difficulty in finding adequate toji. Add to this a population becoming more interested in other alcoholic alternatives in recent years and Koshigoi’s quest to continue brewing one of Chiba’s finest sakes requires a continual tweaking of the brands offered to accommodate the changing palates of sake drinkers and trends shaping the market. Koshigoi creates jizake, or a local brew. Aside from the big breweries that mass produce some of the “One-Cup” sakes often retrieved from vending machines by salarymen in need of a quick fix and the paper carton concoctions sold in convenience stores, most breweries in Japan produce jizake. It all starts with the rice. Though the world’s most consumed grain, rice is an expensive component of the sake business, often comprising 70% of the finished product’s cost. Generally there are two types of rice in Japan. Rice for eating has an extensive number of varieties that depend on growing location and desired characteristics at maturity. Sakamai rice is what sake brewers use. The grains are bigger and softer than those consumed at a kitchen table. But growing this rice is only possible in certain areas of Japan. Cultivation is an issue as well since it is more complicated and time-consuming. As a result, costs are higher. Yamada nishiki, a crossbreed grown in southern areas of Honshu, is top-of-the-line for sake brewing because its grains are large. This is desirable since the bigger the grain is at the start the larger the kernel (containing the wanted starch) will be after milling. For Koshigoi’s daiginjo, 65% of the grain (by weight) will be milled away, with the brown husk being discarded and only the starchy white kernel remaining. Starch is the key ingredient in the koji process. The milled rice is steamed and mold spores added. At this stage, the toji and his trusted kurabito will strip from the waist up and mix the fluffy mixture with hand and fist. The mold will break down the starch into the sugars. The mold will break down the starch into sugars. When yeast is added to this mix and combined with water (containing ideal amounts of potassium and magnesium), the resulting fermentation of this mash, termed moromi, will lead to the finished product. The difference is in the drinking. 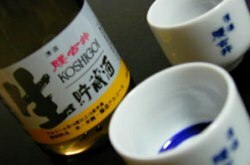 A sip of Koshigoi’s daiginjo (a generic name which signifies the top grade in sake parlance) gives a rich, deep flavor, possessing a lingering bite that is absent of the synthetic aftertaste that might accompany lower grades of sake made from less desirable rice and water. To maintain a consistent taste from year to year, Koshigoi’s toji leads his team of six brewery workers through each step of the brewing process in the heart of winter. (During other times of the year, the average toji will work in some sort of agricultural profession in the Tohoku area of Honshu.) The toji’s talents have been garnered through years of training and many more subsequent years of apprenticeship. But these days many people don’t have the patience for such work, he says. This is true particularly in learning the subtleties of the work; for example, say, the knowledge needed to maintain the proper temperature during the moromi process. Overall, the job is an art, and it takes time to master. It’s a tough job. Over the course of the winter, the toji and his trusted workers sleep and eat in cramped quarters with few amenities just outside the doors to the brewery. During important parts of the brewing process, sleep is a luxury as continual monitoring of such vital characteristics as temperature and alcohol content of the sake are necessary. The lack of interest in this work by younger generations is making the toji a dying breed. Other options are becoming necessary. Though standard at big breweries for years, automation and a change in the organization of small kura are both being increasingly explored. Cutting labor while maintaining the traditional taste simultaneously are the keys. Examples of important changes might include: ordering pre-milled rice; using mechanical mixing at various stages of the brewing; and entrusting machines to do the majority of the monitoring. This predicament is quite a contrast to the early days of the Edo Period, a time when the government requested rich families in possession of large plots of land to establish breweries for tax revenue purposes. For nearly a century after its beginning, business was rather simple for Koshigoi: they produced only two varieties. Served warm, these sakes were a favorite in Chiba. Recent years have seen changes in the market. During Japan’s economic boom of the ’60s and ’70s, drinkers began demanding more variety in the booze they used to wash away their nights – and plates of sushi and sashimi. Koshigoi obliged, producing what today amounts to over a dozen variations. These days, however, more and more folks are setting down their sake bottles and raising beer steins. Beer sales exceeded sake sales for the first time in the ’60s, and today sake revenue is one-fifth that of its frothy cousin. The number of kura, too, has dropped by over 50% in the past half-century. But for Koshigoi, there is still a little fire left in its firewater. In response to a recent trend that has seen women seated at some of Tokyo’s more fashionable sake bars, Koshigoi’s Yawaguchi brand has been crafted just for ladies looking to enjoy what was once – with certain holidays excepted – primarily a man’s drink. This thin brew is sweet and light, and its relatively low alcohol content of just over 11% (most sake is around 16%) makes it the perfect tipple for light drinking after work. Time was, it was a lady’s job to decant sake in a technique that was nearly ritualistic. Her touch with the wooden box containers and painted china cups was almost as important as the taste of the beverage itself. It was all part of providing a relaxing atmosphere for the male drinker. That is not the case anymore. Sexual boundaries have not been the only lines crossed by Koshigoi. The exotic appeal of sake has been apparent overseas, where foreign imbibers have been frequenting sake bars in increasing numbers in such cosmopolitan locales as New York and Los Angeles. 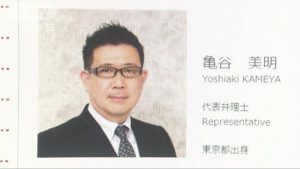 And as a result of an international push by Susumu, who generally disliked the feudalistic nature of Japanese business, Koshigoi’s customers in Taiwan, Hong Kong, Australia, and the United States today account for roughly 10% of their business. Their junmai sake is relatively cheap and consequently easy to sell overseas. Locally, Koshigoi is quenching parched throats in a variety of unique ways. Its jietai brew, whose label is decorated with paratroopers and ground troops going through maneuvers, has been prepared for a nearby Self-Defense Force base. And, as evidence of Koshigoi’s lack of pretention in what is usually perceived to be a pretentious business, convenience store chain 7-Eleven stocks its Namacho variety in 300-ml bottles at its Chiba outlets. No matter its future, a walk around the grounds of the Koshigoi estate reveals that the brewery will always be mindful of its roots. Discarded cedar tanks the size of small cars decorate the edges of the compound. A brick chimney, whose last puffs of smoke were released decades ago, stands at the estate’s center. Note: This article originally appeared in August 2003 on the Sake-Drenched Postcards Web page.